a block toolbar accessible using a button attached to the editable content area and following the selection in the document (bringing additional block formatting tools). 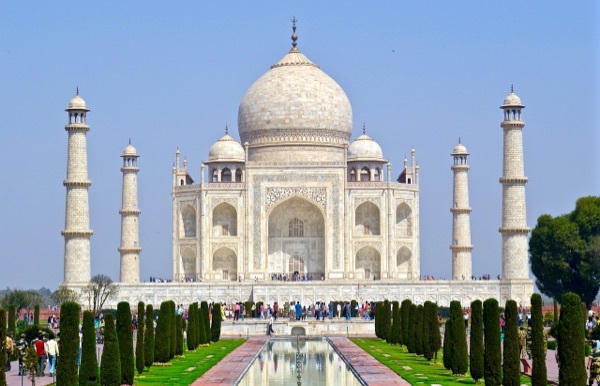 No trip to India is complete without visiting this spectacular monument, counted among the Seven Wonders of the World. Tourists frequently admit that Taj Mahal "simply cannot be described with words". And that’s probably true. The more you try the more speechless you become. Words give only a semblance of truth. The real truth about its beauty is revealed when you adore different shades of “Taj” depending on the time of the day or when you admire the exquisite inlay work in different corners of the façade. Taj Mahal is a mausoleum built in Agra between 1631 and 1648 by Emperor Shah Jahan in the memory of his beloved wife, Mumtaz Mahal, whose body lies there. It took 20 000 workers to complete and the excellence of this building is visible in every brick. In 1983, Taj Mahal was appointed UNESCO World Heritage Site for being "the jewel of Muslim art in India and one of the universally admired masterpieces of the world&apos;s heritage". The tomb is what immediately catches your eyesight. The white and soft marble embroidered with stones leaves you totally enchanted.